We need to protect Sydney’s water for future generations. In the lead up to the NSW state election, we want watertight assurance from party candidates that they will end the dangers to Sydney’s water quality, quantity and affordability. 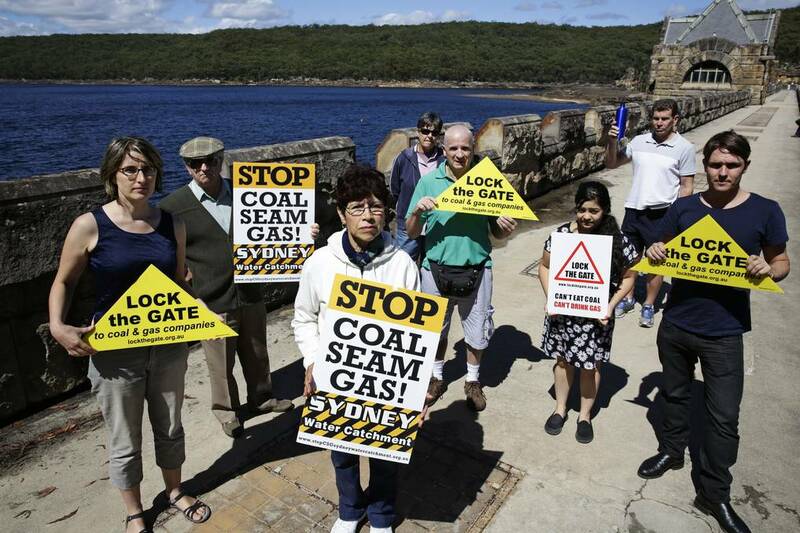 Underground coal mining is cracking the tributaries of Cataract Dam and other reservoirs South of Sydney. Coal Seam Gas fracking has already come too close to houses and water infrastructure. We are also concerned that Sydney Catchment Authority – the authority on water quality- is being abolished and the government is further commercialising water provision. Our water supply is a public good and must be governed to ensure the public interest is honoured. 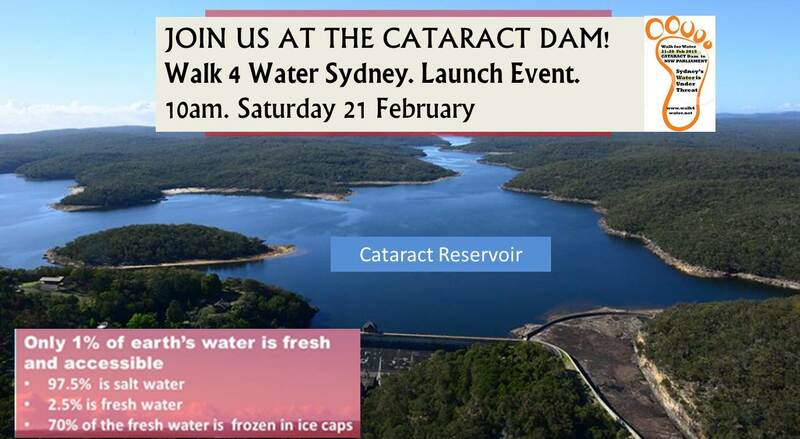 Join us to show community support for the wise governance of Sydney’s water. Groups involved in the walk include Western Sydney Environment Network, Stop CSG Macarthur, Parramatta Climate Action Network (ParraCAN), Stop CSG Camden, Rivers SOS, Blacktown District Environment Group, Ryde Hunters Hill Flora and Fauna Society, Climate Change Balmain-Rozelle, Lock the Gate, Protect Sydney’s Water, Nature Conservation Council of NSW, Our Land Our Water Our Future. Thank you also to Ryde-Epping Greens, Wollondilly ALP and Wollondilly Greens, Campbelltown ALP and Campbelltown Greens and the Wollongong Greens for their support. Register your participation here. 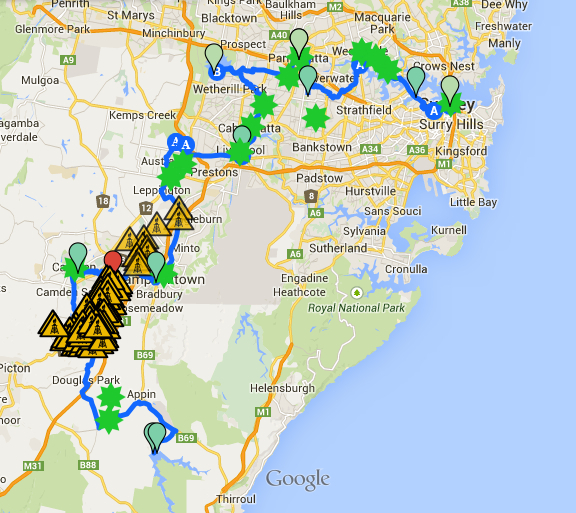 Walk route: link to more detailed map.